← OS ep 33 – Adam Sommer – A Cosmic Game, Jyotish, and western Astrology. James is a musician, author, artist, podcaster, and theorist. 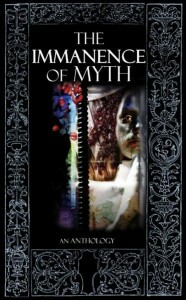 He joins me on the show to discuss his soon to be released book Immanence of Myth. He is also the co-creator of and actor in the new Gonzomentary style video series Clark. This entry was posted in podcast and tagged Alterati, Anthology, art, Clark, Myth, Transmedia. Bookmark the permalink. We (the internet) missed you, Joe! Welcome back! Please start with Liber Null, or Hands on Chaos magick. Also begin to meditate and do yoga daily. If you do not see results, maybe start investigating local Hoodoo churches. I don’t really care to prove that magic works to people. If you care, dig in and get to work, otherwise, have fun with it. Has your RSS feed link changed? I can’t see an RSS feed on your new website? Put it back on the top of the column. Hope all is well with you. Have been missing your podcast. Any plans to do any more?